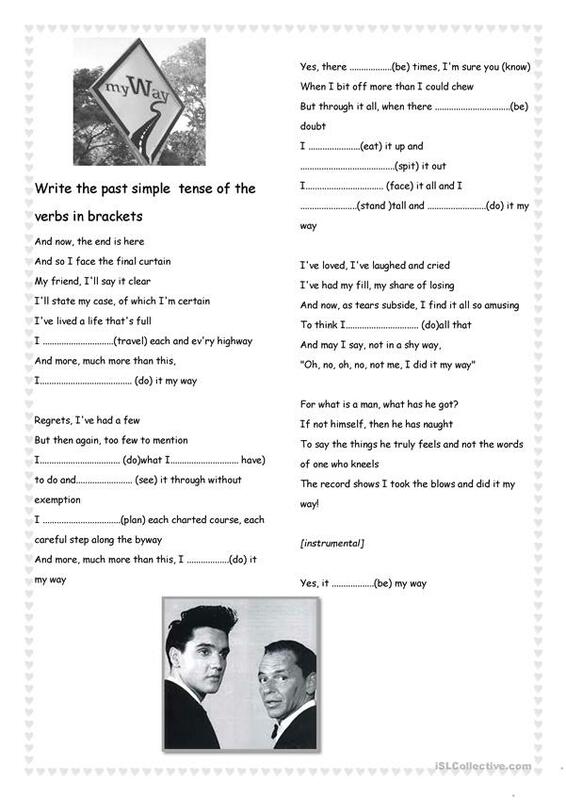 An old song to review past simple tense. 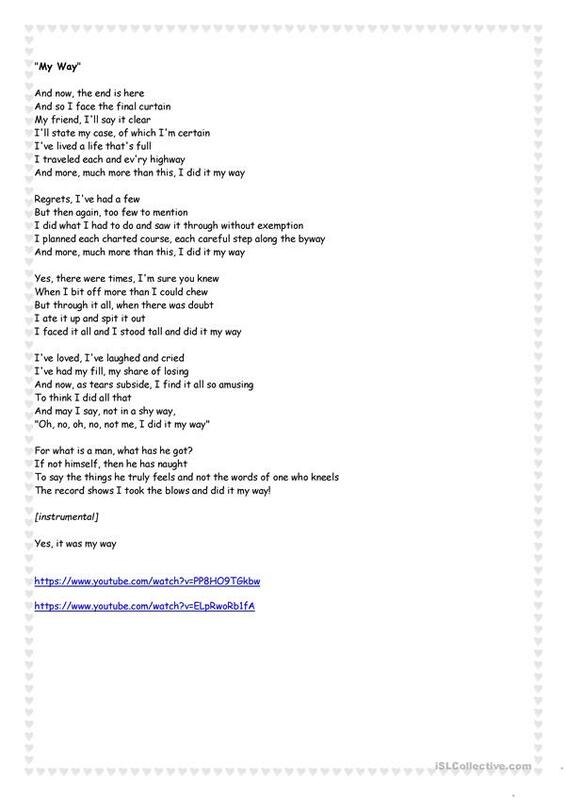 There's a link to listen & sing.Sts can also talk about their experiences in life. The present downloadable teaching material is best suited for high school students and adults at Pre-intermediate (A2), Intermediate (B1) and Upper-intermediate (B2) level. It is great for consolidating Past simple tense in English, and was designed for improving your learners' Listening, Speaking and Writing skills. It focuses on the topic and words of Feelings, emotions.